Local Cholla Bay sailors Bill Hensler and Lowell & Frankie McCulley with golden retriever Neely organized an eight week Baja 09 cruise. Baja 09 is a 8 week sail south from Puerto Penasco to the Loreto area and then back. The cruise is organized in one week legs with different crews on each week. This allows lots of our Cholla friends to join us. This year we have some first timers which is always interesting. Crews post photo blogs of their cruise at www.gatolocosailing.com/blog Itâ€™s fun to follow their progress see what is posted. The Neely blogs are written from our golden retrieverâ€™s point of view by Frankie for her dog lovers. Leg 3 April 26-3, Crew:Bill, Lowell, Frankie, Neely, Kerry Fahey (AU). Seawind Rally to Loreto Fest. Sail from Loreto heading south to meet Seawinds coming from Cabo, maybe meet 2 days south. Kurt will be sailing north from Cabo with California Seawind owners. Leg 4 May 3-10, Crew:Bill, Frankie ,Lowell, Neely, Bob & Chris Sanders, Kerry Fahey (AU). Sail the Loreto area â€¦. Steve and Cindy will also be in the Loreto area this week. Leg 5 May 10-17, Crew:Bill, Lisa Wendt, Sally Dalton, Marilyn Haney. Frankie, Neely and I head back to San Carlos flying or by Ferry. Here are links to our Baja 09 cruise now in progress. 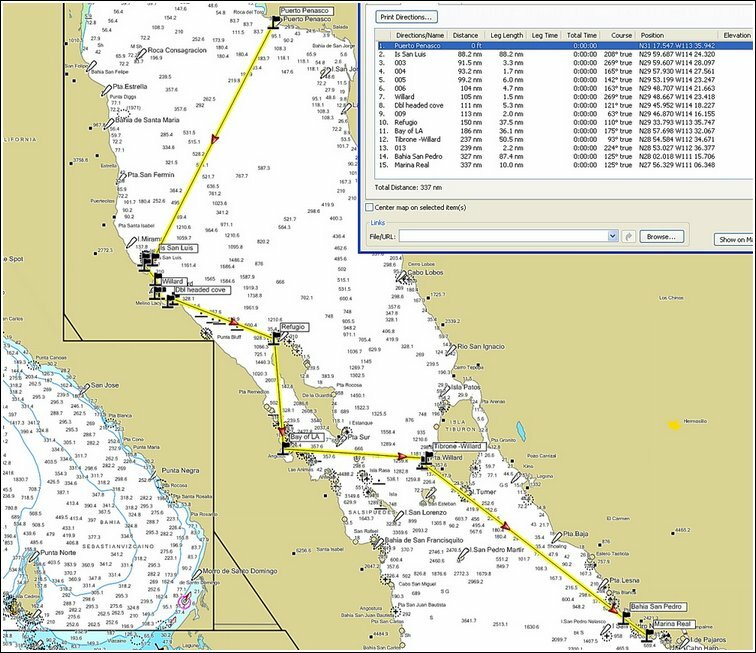 You can also go to www.gatolocosailing.com/blog for the latest posts..
27: Baja 09 Leg 3 Seawind Rally Plans taking shape up..
16: GatoLocoâ€™s Spring Sailing plans starting to take shape..